If there's one thing I HAVE to put on before walking out the door, it's mascara. You don't even notice my eyes without it. But mascara from a department store can get pricey. Especially when you have to replace it every three months! So I bought five of the drugstore brands to see how they fared. 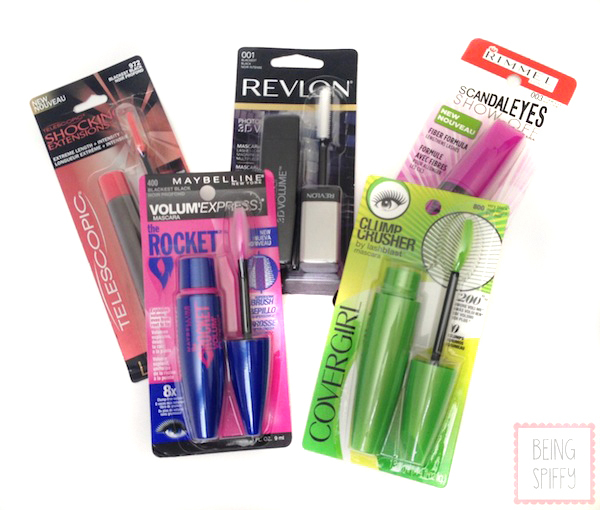 I picked up the most recent releases from L'Oreal, Revlon, Maybelline, Covergirl, and Rimmel. 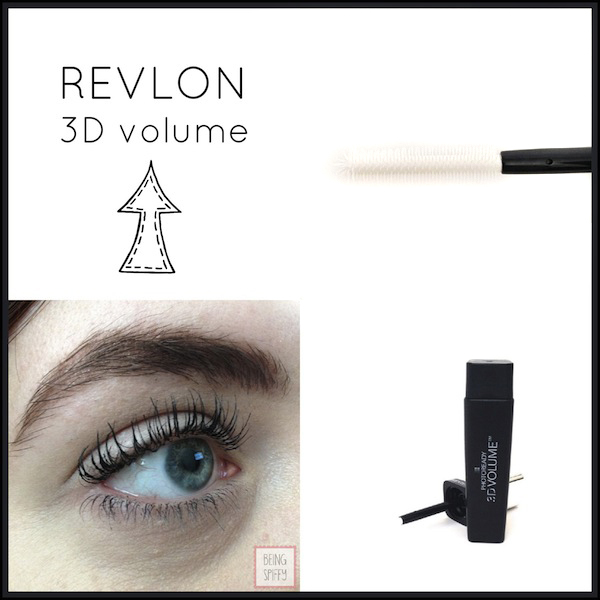 These mascaras claimed that their formulas and brushes add volume, lengthen lashes, and are clump-free. Some lived up to their advertising. Others? Well…you'll see for yourself. I tested these mascaras, but used my niece as the eyelash model. Her eyelashes are crazy-long and don't even need curled. The arrow under each mascara name represents the "review". Think of it as a thumbs-up, thumbs-down, or so-so, depending on where the arrow is pointing. I purchased the mascara at my local Walmart, but prices may vary depending on location. Our favorite mascara was Rimmel Scandaleyes Show Off. The separation and thickness it created more than made up for the lack of length. It went on easily and didn't clump. 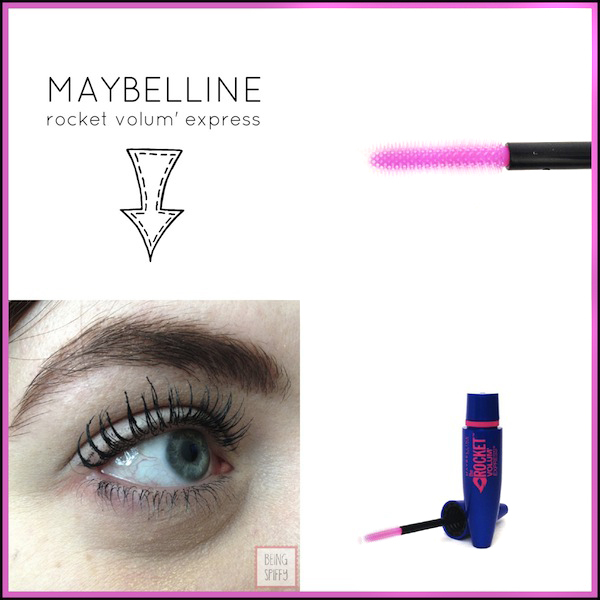 Our least favorite was Maybelline Volum' Express The Rocket. It clumped like crazy. I should have posted a picture of us trying to remove the mascara. It's a really horrible formula. I find it interesting that the winner and the loser are the two cheapest mascaras. Who would have thought? What mascara do you wear? Is it a drugstore or department store brand?